When a new year rolls around so many people set themselves resolutions and goals and I love reading and hearing about them, I wish them all the best for sticking to them and achieving those goals but for me, resolutions just don't work because I never really stick to them, so a few years back I decided to just stop making them and instead, stick to setting goals. I try not to aim too high by setting myself a crazy amount of goals that I likely wouldn't be able to achieve, for me it's not worth making a list of a 100 goals from which I could only concentrate working on a few of those so I set a few larger goals and a number of smaller ones as achieving them definitely works better for me this way. 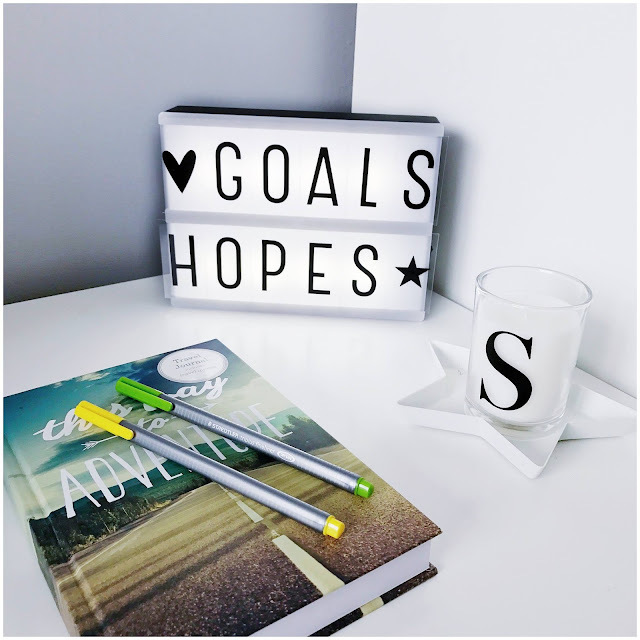 What are some of your main hopes, goals or resolutions for the year ahead? Great list. I love visiting new places. Have you decided what your new hobby will be? I have tried not to make resolutions, this year but just trying to mix it up, and concentrate on more of the things that actually make me happy. I have *got* to start looking after myself and drinking more water too! Some day soon it's going to sink in that this is something I need to do!